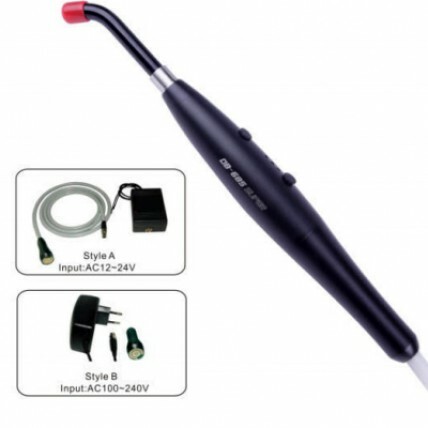 When dentists or any member of a dental team uses dental curing lights, protective eyewear or a shield to cover the light-curing unit (LCU) is a must. The Orbiter allows dental professionals to cure resin-based composite restorations and sealants in a manner that provides safety for your eyes and convenient treatment. Light with wavelengths of less than 500nm, also known as near ultraviolet or blue light, has been shown to cumulatively harm the eye’s retina and decrease the ability of the macular region of the retina to provide sharp vision. This light may also be connected to the formation of cataracts. The retina is located at the back of the eye and covers about 65 percent of the interior surface. Rods and cones are the photosensitive cells in the retina that convert light energy into signals that travel along the optic nerve to the brain. In senile or age-related macular degeneration, the eye’s macula begins to breakdown and can lead to blurriness or dark areas in your central vision. The macula is a small area in the retina that allows you to see fine details clearly. 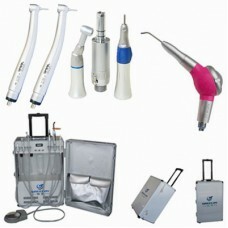 Resin-based restorations and dental sealants are cured by light in the 370nm to 470nm range. Reliable research shows that this area below the 500nm range can be harmful to vision. Therefore, the use of appropriate eye protection or a shield when operating a dental curing light is essential. Any protection should filter out the majority of light that is less than 500nm. The filter material that is used in The Orbiter blocks approximately 99.8 percent of harmful near ultraviolet and blue light. In addition, because of The Orbiter’s counterweight design, the shield constantly readjusts itself to the upright position as you change the angle of the unit to cure different surfaces or different restorations. Thus, The Orbiter positions itself so that the user does not need to interrupt his or her work to adjust the shield.